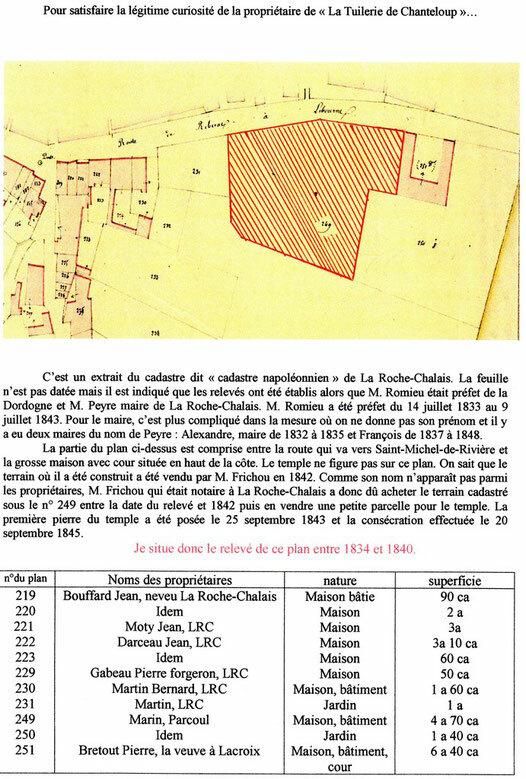 Extrait du Cadastre - Document rédigé par Maurice Biret, historien. On the right, "the Tuileries de Chanteloup" with 3 floors. Postcard from the early nineteenth century.